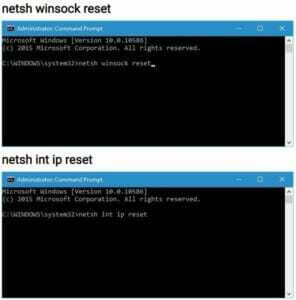 Home » Wi-Fi doesn’t have valid IP configuration on Windows 10, How to fix error? In the era of the wireless technology, it is always a good option to have a wi-fi connection working with your computer. When connecting the wifi to pc, wifi doesn’t have a valid IP configuration, is one of the most recurring error. Wireless connection is much essential as it gives you the freedom to move all around carrying your laptop or other devices without being connected to wires. Wifi is a quite useful thing these days. Many Windows 10 users are complaining about the wifi connectivity issue, and the error that occurs is the Wi-Fi doesn’t have a valid IP configuration error message. This error actually does not let you get connected with the wifi connection. In this guide, you will learn entirely about how to fix the wifi issue error in your windows 10. How to fix Wi-Fi doesn’t have valid IP configuration in windows 10? IX. Reinstall the Wireless Adapter Drivers. When you try to connect to the wifi, and it shows the error message “wifi doesn’t have a valid IP configuration” in windows 10, then you have nothing to worry about. This is an elementary and small mistake that has been occurred due to a minimal level of setting misconfiguration. In order to remove this error message, you need to follow the steps below. We have many solutions to the problem that gives you the wifi doesn’t have a valid IP configuration error message. There are mainly six major types of solution for the respective, and you can make the error gone by yourself. No need to contact the expert. We are the experts in this field and just keep reading. These are the enlisted solution for your problem of wifi doesn’t have a valid IP. Go running, and start Command Prompt. You can also use Windows key + X, and then choose the command prompt menu as an administrator. You will all be done, now simply connect your wifi network without any issues. This process can easily solve out the issues with IP configuration problem. However, this method is limited to the static IP addresses only. In such cases, you have to make a change to command prompt again and again. 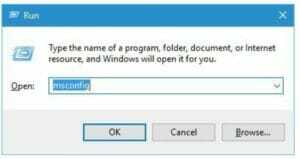 So we suggest that you follow another step for this valid IP address configuration error in windows 10. You can use these listed commands as well that can also solve your problem over here. In Windows 10, there is also another way if your wifi doesn’t have valid IP configuration, then you can change the SSID and the password of your wifi. This will make it like a new network for your computer, and it will not probably show the invalid IP error to your computer. This method can also be effective in other windows version too. To carry out this method, you have to connect your mode with your pc. You can do this by Ethernet cable connection. After you have successfully connected your modem then you shall simply access your it and change the network SSID and the Password. This will serve your purpose for the fix of valid IP configuration error on your computer. Right click on your wireless option when windows open. Now you have to navigate to properties on the menu. Click the Configure button and go to the Advanced tab. Press Windows Key + X and choose Network Connections. Right-click your wireless network and choose Properties from the menu. When Properties window opens, select the Use the following IP address option and enter the IP address. Subnet mask and Default gateway. There is also the by which you can rectify the problem of Windows 10 wifi doesn’t have a valid IP configuration. This is the method in which you simply can increase the number of users and rectify the problem. Most of the routers are limited to 50 DHCP users, which is also the reason for the problem that wifi doesn’t have valid IP configuration error to rise. 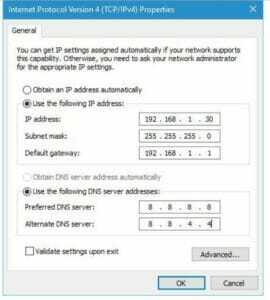 You can manually increase the number of DHCP users and can also make the error of invalid IP gone. Before increasing the number of DHCP users you shall make sure that you set the modem configuration to manual. A clean boot is also another way by which you can clean up this problem. When you clean boot your system then you make all your third-party applications. There may be the reason that due to third-party apps and services that may be interfering in the wireless connection. You can perform a clean boot in your system by following the steps below to rectify Ip doesn’t have a valid IP configuration. Press Windows Key + R on your keyboard and enter msconfig. Press Enter or click OK.
Go to Services tab, check to Hide all Microsoft services and click Disable all button. Go to the Startup tab, and click Open Task Manager. When Task Manager opens you’ll see a list of startup applications. Right-click each item on the list and choose Disable. 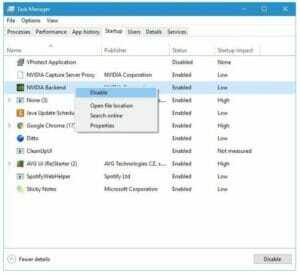 After you disable all startup applications close Task Manager and click Apply and OK in Windows Configuration window. Now you will probably not get the error for invalid IP configuration in windows 10. Antivirus or the firewall often makes the interface or distribution through internet connections. And when you are getting wi-fi doesn’t have a valid IP configuration error then surely this could also be the reason. There are inflicts with the firewalls that may cause the error in the wifi connection and thus leads to error generation. Well, this problem has a solution by either removing or temporarily disabling the antivirus on your PC. The error of invalid IP configuration can be caused due to the antiviruses. Well if removal of antivirus or blocking it fixes your error of invalid IP in windows 10. Then try to install a new version of antivirus for you. This is going to help definitely. Try installing the latest version of antivirus. DHCP can be the reason that makes you face the error of “wireless network connection doesn’t have a valid IP configuration windows 10″, as it is the tool which assigns you the unique IP address for your computer. If there is any problem that occurs in DHCP, then there can be the reason that you get the particular error in the network connection. 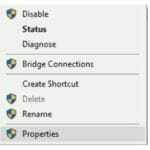 Locate your network adapter, right click it and choose Diagnose. 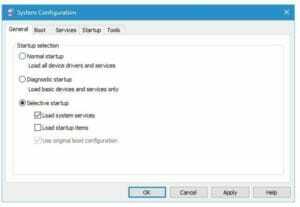 You can turn your DHCP on by setting the option “Obtain Ip Address automatically”. When Device Manager opens, locate your wireless device, right-click it and choose Uninstall. 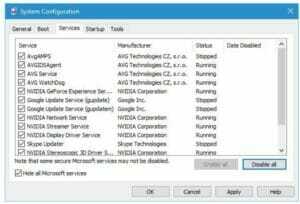 If available, check to Delete driver software for this device and click OK.
Once you remove the driver, restart your PC. Please make sure that since updating the drivers is the advanced level of procedure, so you shall be careful while following the above steps as it could be dangerous and harm your computer if you by mistaken make any file deleted or left with an error. Got fed up with the error wifi does not have a valid IP configuration now, This primarily occurs due to different IP configuration in security types. You security type in your PC shall match your security type in router too. You can open your router settings and then go to the wireless section. This wireless section will give you the option to select the security type. Then you shall make sure that your wireless adapter is also using the same security type as your IP and DHCP. The error of wifi does not have a valid IP configuration can be easily prevented. We have discussed all the possibilities that can cause this error along with the solutions to the error. Now we hope that you have read this article were so that whenever you face any problem related to wifi does not have a valid IP configuration error.